Although the vast majority of the multiple EU infrastructure development projects still go to EU-based contractors, eyes have been raised at the small, but increasing number of big ticket projects being won by Chinese contractors. This has caused issues, ranging from disbelief to jealousy to accusations of rigged deals. In fact, EU tenders are subjected to intense scrutiny, with an insistence – not always welcomed – that bidding for tenders involving EU nations must abide by EU rules and regulations. Tensions arise when such projects involve a non-EU country, which is typical for nations on the EU borders. These become unhappy with having tenders being monitored by Brussels instead of their own sovereign regulations, a case in point being the Budapest-Belgrade railway between Hungary (an EU nation) and Serbia (non-EU). The EU insisted that the tender be monitored and subject to controls and regulations imposed from Brussels and that these would override both the Budapest, and even more assertively, the Serbian Parliament regulations. Were this not to be complied with, the tenders would be not be recognized and Brussels would veto the project. The Chinese, who had courted the Serbians, and were preparing to finance and build the entire project, were very upset. They had expected to control the process together with purely the Serbian and Hungarian Governments until the EU stuck its foot in the plans. With local tenders often only being produced in local languages, the Chinese have not always been up to speed with accurate translations of terms and requirements, leading to them losing out on deals; little attempt has been made to understand local culture, customs, and relationships. Cost cutting exercises designed to make the bid more competitive. The Chinese have been unwilling to invest upfront on professional advisory, lobbying, legal, or tax advisory fees, basing these as payable only in case of winning the bid. These amounts can mount up and are being shaved off money actually meant for project deliverables, not pre-bid expenses. They can also result in low-level professional services. However, these shortcomings are in the process of being corrected, meaning that EU contractors will also need to up their game when competing with the Chinese. These tender process deficiencies are one of the reasons the Chinese created the CEEC or 16+1 grouping, which includes China in addition to the eastern and border nations of Europe, some of which are EU members. Doing so gives Beijing good reason to throw diplomatic money at developing a better understanding of Eastern Europe’s issues, strengths, weaknesses, and suitable opportunities, in a similar manner in which it created the Shanghai Co-Operation Organisation, which gives it much better knowledge and engagement with Central Asia. This is having an impact, with a major gain in this new approach being the awarding to Chinese contractors of the tender to construct the €283 million-first phase of the Peljesac Bridge and access roads. That project was awarded by the Croatian Government to a Chinese consortium led by China Road and Bridge Corporation (CRBC) and is EU funded. The awarding of the contract raised eyebrows in Croatia, let alone Brussels. Directors and shareholders who had lodged competing tenders from an Austrian and Italian-Turkish consortium were not amused, and bitterly complained. 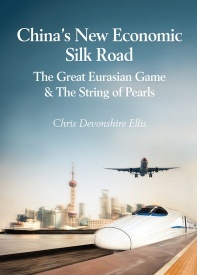 The reality is that China had simply upped its game and changed its approach. This is despite the fact that Croatia has very strong ties in the EU and is somewhat anti-Asian in its general makeup. So how did China change? Firstly, the CRBC was already present in the region (the Bar-Boljare Highway in Montenegro); secondly, as steel retains the dominant share in the expenses, the Chinese offer in the tender was by far the lowest, thus minimizing the importance and influence of relying on lobbyists and experts in winning the tender. Here too, China left nothing to chance. Allegedly, the CRBC used the services of a person very close to the Office of the President and to the former CEO of Hrvatske Ceste-Croatian roads, the state owned company in charge of the tender. Moreover, the official lobbyist of the CRBC in Montenegro is the former PM of Serbia at the time of Slobodan Milošević, and is well known politically to Beijing. With the creation of the CEEC, and greater diplomatic effort being put in to understand EU tender processes and requirements, China has been learning far more than previously about what is expected from tenders in order for them to succeed. Offices established in the region by its SOE’s, such as CBRC’s Montenegro presence, are also being utilized to conduct additional regional research, plugging an important knowledge gap. While this will always be somewhere in the background, the need to divert fees away from expenses has become less important as the Chinese can compete with far cheaper steel prices than was previously possible. Instead of cheaper professional fees, China can now provide cheaper production costs. China has been keeping far better intelligence about who is who and connecting the dots between politicians. It now has a far better idea of who can be useful and who not. Having ascertained a greater percentage of probability of success in identifying key lobbyists, it can afford to pay professional fees to such people. In summary, China has become far more professional in the past two-three years in competing for tenders than in the past. This is not a purely Chinese model, with the possible exception of the tracking of diplomats and politicians, as the Japanese have previously followed the same path in learning how EU tender processes work. China is a politically-run and organized country, everything that happens there has a political element to it. It should be no surprise that China is prepared to reach out to “old friends” in order to win contracts. With the EU making eyes upon the Balkans and the Caucasus, the trend for Chinese contractors to be bidding on projects involving not just EU projects, but EU cross-border projects is only going to increase. EU contractors wishing to compete with Chinese contractors in bidding for Belt and Road projects need to have in place a specific strategy for dealing with this new competition. Discussing tender processes with professionals familiar not just with China, but also the EU and the Belt and Road should be a prerequisite when considering a bid. 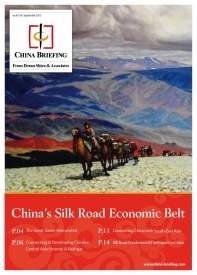 Silk Road Briefing is produced by Dezan Shira & Associates. Chris Devonshire-Ellis is the practice Chairman. 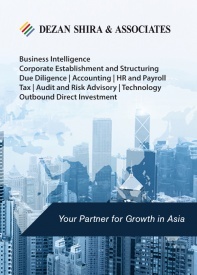 The firm has 26 years of China operations with offices throughout China, Asia and Europe. Please refer to our Belt & Road desk or visit our website at www.dezshira.com for further information. 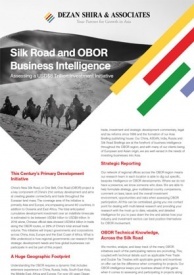 Dezan Shira & Associates´ Silk Road and OBOR investment brochure offers an introduction to the region and an overview of the services provided by the firm. 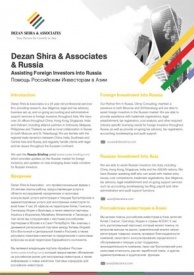 It is Dezan Shira´s mission to guide investors through the Silk Road´s complex regulatory environment and assist with all aspects of establishing, maintaining and growing business operations in the region.